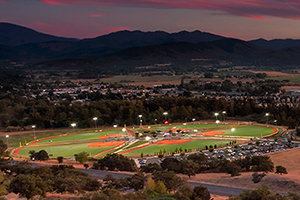 Exceptional venues, beautiful climate and a friendly and supportive community make Medford & the Rogue Valley a desirable place for both athletes and event organizers. Our dedicated staff provides outstanding customer service and ensures your needs are met before, during and after your event to ensure success. Our convenient location off Interstate-5 between Seattle and Los Angeles make it easy to travel to and the region's expansive outdoors make it ideal for an extended vacation or get-away. Combine that with affordable lodging and Southern Oregon is an ideal choice to hold your next sporting event. Southern Oregon's diverse terrain and mild temperatures offer opportunities for sporting events year round. 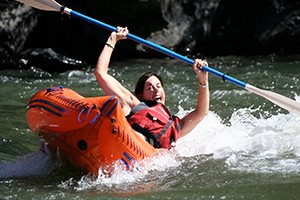 The Rogue Valley hosts Cyclocross races, whitewater kayaking and rafting competitions, mountain biking and obstacle course races, just to name a few. Whether you're an athlete, sponsor, team, coach or promoter, Travel Medford and Southern Oregon Sports Commission can help you deliver a successful event. U.S. Cellular Community Park is a 132-acre all-turf complex used for baseball, softball, soccer and football. 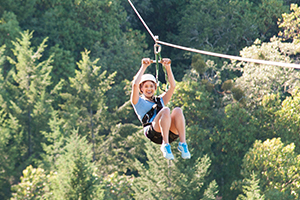 The largest facility of its kind on the west coast, Medford and the Rogue Valley are in a prime location to host sporting events and adventure year round.